Tonight, a lawyer in Ottawa, a lecturer in Toronto and a shop assistant in Montreal will all go home after a long day at work. They’ll put their dinner on, take a shower, check-in with friends and family and finally sit down hunched over their respective coffee tables to roll a joint of their preferred cannabis strain. Perhaps tomorrow or the day after, when their minimally branded, childproof container of cannabis is looking slightly depleted, they will visit their local dispensary. A facility that adheres to the stringent regulations set out in Canada’s Cannabis Act, requires proof of age, maintains sales records and pays taxes to the Canadian Treasury. Of course, this is not some novel experiment dreamt up by Justin Trudeau and his merry band within the Liberal Party. Plenty of US states have legalised cannabis for recreational use, as have Uruguay. However, what this is, is a significant step in ending the global drug war and the senseless criminalisation of drug use – Canada being the first member of the powerful G7 to take the leap. Elsewhere in the world, the direction of drug policy is overwhelmingly progressive. Medical Cannabis is available from Poland to Peru and the Malaysian Government has recently announced that it is pursuing the abolition of the capital punishment within its borders – a penalty often handed to drug traffickers convicted in the country. It appears that progression is pervasive, that is unless you are tin-pot dictator from the Philippines who takes pride in the extrajudicial murder of thousands of your own citizens. It would be wrong to suggest that progress isn’t taking place in the UK, but the progress that is happening on our shores is at a much slower pace than in Canada or the US. A glaring example of this is the imminent legalisation of medical cannabis, a policy change which puts the UK a full 22 years behind California, 17 years behind Canada and still leaves patients having to clear significant obstacles before being able to medicate. Like in the rest of the West, British opinions on drugs are changing and some political parties – including the Liberal Democrats – have voiced support for the legalisation of cannabis. More surprisingly, William Hague, the former leader of the Conservative Party has thrown his support behind the legalisation of cannabis, calling the UK’s drug policy “inappropriate, ineffective and utterly out of date” in an article he wrote for the Telegraph. However, these calls have seemingly gone unheeded. Home Secretary Sajid Javid ruled out the legalisation of recreational cannabis use in a recent statement in which is announced plans for specialist clinicians to be able to legally prescribe medical cannabis. There has however been a deafening silence from one party’s leadership. It appears that rather than engaging in grown-up, rational debate about the prospect of the legalisation of cannabis, the leadership of the Labour party would prefer to bury its head in the sand like a prudish ostrich, afraid of addressing a ‘taboo’ subject. Perhaps the leadership of the party could be forgiven for this though, as such a move may be framed by certain sections of the press as the party being weak on ‘crime’. However, the real weakness in this case is one that is all too present in the Labour Party – indecision. This stagnation in Labour’s drug policy will be mildly depressing if you were hoping to see the party capitalise on the momentum built in 2018. At this critical juncture in British drug policy, Labour’s silence only serves to reinforce the plight of the victims of prohibition. By not publicly engaging on the topic of the legalisation of cannabis, Labour will not only damage its standing within its young and educated voter base, it will forfeit its chance to ensure legalisation happens in accordance with its core principles of fairness and equality. Though indecision seems the default position at the top of the party, there are individuals within the party who are taking a proactive approach to effecting change at a local level. Mayor of Manchester, Andy Burnham last year appointed Sacha Lord – Founder of the Warehouse Project and Parklife – as his ‘Night-time Economy’ Advisor, a UK first. In his role as founder of the Warehouse Project and Parklife, Sacha has overseen the introduction of back-of-house drug testing at both events, an initiative which aims to identify and warn partygoers of dangerous batches of drugs in circulation, primarily through the confiscation of drugs at points of entry. Elsewhere, Labour MPs Jeff Smith (Withington) and Thangam Debbonaire (Bristol West) have taken a leading role in the Labour Campaign for Drug Policy Reform, as well as providing vocal support for The Loop’s front-of-house drug testing. The campaign was launched in July and aims to provide a forum for members to discuss and debate the party’s drug policy for the future. While this signifies a positive move, a more direct approach is required in order to galvanise the party’s leadership into making its position clear on drug policy. Ms Debbonaire recently acknowledged the need for the party’s leadership to be meaningfully engaged on the subject, but a change in policy seems unlikely at this moment in time. Particularly as Shadow Home Secretary Diane Abbott has previously refused to back the legalisation of cannabis. Certainly, these initiatives are a good starting point, but those who hold the decision making power within Labour need to sit up and listen – swiftly. So what should a progressive drug policy look like? While a truly progressive drug policy would argue for the legalisation of all drugs due to the staunch evidence that rubbishes the efficacy of prohibition, at this stage such a move would be unpalatable to the majority of the British electorate. Therefore, Labour should adopt a policy based upon the principles of harm reduction. This would mean accepting that drug use happens, with some users either unwilling or unable to stop and working to reduce the adverse consequences surrounding the use of drugs. This policy would be formed of two overarching elements: the legalisation of cannabis and the coherent and directed decriminalisation of all other drug use. We’ve heard the reasons to support the legalisation of cannabis again and again: reduced access to teenagers, take the cannabis profits out of the black market and into the treasury via taxation. But simply supporting the legalisation of cannabis is not enough, legalisation left in the wrong hands could still go awry. Therefore, it is absolutely critical that Labour supports a model of cannabis regulation that delivers fairness, particularly to those who have been most severely affected by the War on Drugs. Grounding cannabis legalisation in the principles of fairness and equitability – depending on the specifications of the chosen model – could mean reserving a percentage of the permits for the establishment of dispensaries and of the production of cannabis for poorer communities, in order to prevent the market being swallowed up by big business and wealthy investors. Such a scheme was rolled out in Oakland, California and although it has received criticism due to flawed implementation, it does provide a policy blueprint that could be tweaked in order to deliver an equitable model of legalisation. In order to make legalisation ‘fair’ the expungement of criminal convictions relating to cannabis, excluding violent and driving related convictions, should be sanctioned. In addition to this, a truly equitable policy would seek to provide formal educational opportunities to those with an already developed skill-set in the cultivation and sale of cannabis. This could come in the form of ‘bud tender’ and ‘gardening’ qualifications, which would follow similar programs in the US, such as at Oaksterdam University an educational facility that professes to provide “Quality Training for the Cannabis Industry”. Failure to pursue such policies would put the success of legalisation in jeopardy, as those who have been most heavily penalised by the criminal justice system will find themselves penalised once more by the lack of opportunities at the money end of legalisation. This point is emphasised by recent analysis completed by LSE, Release and Stopwatch, which found pronounced racial disparities in the policing of drugs. Their findings show that black people in the UK are 9 times more likely to be stopped and searched for drugs than white people and while drug arrests have fallen by half for white people over the period of analysis (2010/11 – 2016/17), they have steadily maintained for black people. Certainly, legalising cannabis within a highly regulated and fair model would be a positive start in reversing years of misinformed and ill-conceived legislation that comprises British drug policy. However, Labour would be failing users of every other substance covered by drugs laws in the UK if its policy was this one-dimensional. Instead, further action would be needed to ensure the country’s most vulnerable users of drugs are protected and dealt with in a humane manner and to provide the drug users of tomorrow with accurate information on how to reduce the harms associated with the consumption of drugs. The criminalisation of drug use not only negatively impacts those who consume drugs and their friends and family, it also has profoundly negative consequences for society. 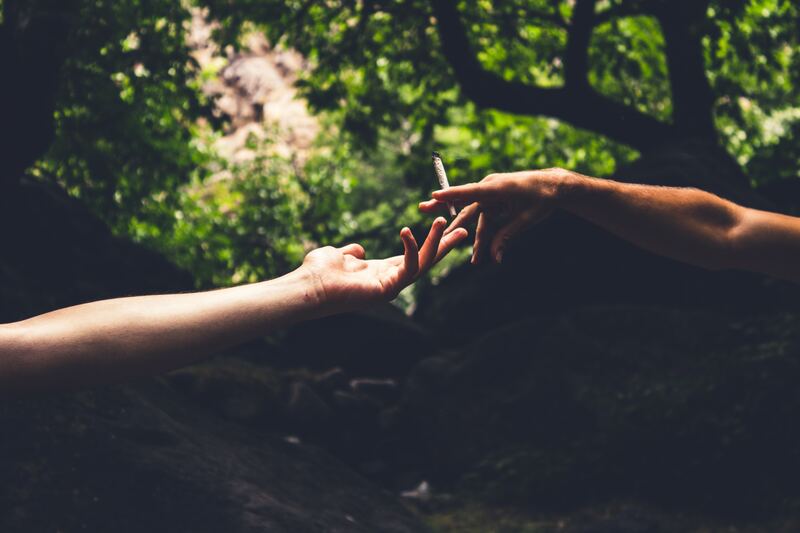 The law, in prohibiting and creating a taboo around drug use, pushes users to become involved in ‘risky activities’ that they would not need to engage in if the substance they are unable or unwilling to give up were decriminalised. Risky activities such as the consumption of unknown substances and the unsupervised injection of drugs can lead to tragic consequences which may not only cost friends and family a loved one, but also has financial implications for the country. At this point it’s worth noting that it costs the UK an estimated £16 billion annually to deal with substance abuse under prohibition according a 2009 report published by Transform, a cost that would likely fall if the need to partake in risky activities was reduced. The first port of call in decriminalising drug use should be the transfer of responsibility for the handling of issues of drugs misuse from the Home Office to the Department of Health and Social Care. Firstly, this would enable the UK’s critically stretched and underfunded police forces to reallocate resources to tackle serious crime. Secondly, this would be a step forward in initiating an evidence based approach for dealing with drug use, both of the problematic (user who consume an amount of drugs, or via a method that is detrimental to themselves and others) and non-problematic kinds. With regard to problematic drug use, the Department of Health and Social Care should oversee the implementation of treatment services for drug addiction, monitor and analyse the outcomes of such services in order to generate a substantial evidence base and develop more effective addiction services using these findings. Furthermore, where a body of evidence already exists that supports a particular method for dealing with problematic drug use, this should be used to shape sustainable and effective policies for their implementation in the UK. An example being safe consumption sites (also known as: supervised injection sites), which can be seen as a straightforward enactment of harm reduction principles – accepting that people inject opioids and other drugs and working to reduce the adverse effects of this, to the user and to society. The implementation of such sites is “associated with lower overdose mortality” as well as “67% fewer ambulance calls for treating overdose, and a decrease in HIV infections” according to an analysis by Canadian physicians. Such sites should also work to provide support to users and guidance for accessing structured treatment plans – a service that is offered free of charge in Portugal where all drugs have been decriminalised with quite staggering results. Similarly, an evidence based approach should be utilised in dealing with non-problematic drug use too. For non-problematic drug users, the goal of decriminalisation should be to ensure that their use remains so. Most non-problematic drug users will be those who would have access to legal recreational cannabis if the first element of this drug policy were to be implemented. Additionally, non-problematic drug users would also be comprised of those who occasionally dabble in the use of cocaine or MDMA at the weekend or the consumption of hallucinogens. In order to ensure this use remains non-problematic and to reduce users’ engagement in risky activities harm reduction facilities should be rolled out countrywide. These facilities should follow the blueprint laid down by the harm reduction organisation, The Loop. Such facilities would provide a holistic harm reduction service including the testing of a person’s drugs in order to ascertain its ingredients, offering advice on how to make consumption safer, discussing how to ensure their drug use doesn’t become problematic and offering access to counselling and treatment services if their drug habit is of concern. The final piece of the puzzle should be to educate the drug users of tomorrow in the reduction of harms associated with drugs. This would mean ditching the archaic, abstinence-based approach currently utilised in personal wellbeing lessons throughout the UK and instead seeking to integrate harm reduction principles into a deliverable curriculum in schools and universities. Such a move should be seen not as encouraging drug use, but accepting the realities of the human psyche to seek out pleasurable experiences. In the US a non-profit organisation, Drug Policy Alliance, has already piloted such a project in a New York City high school, which was made up of 14 units designed to develop “critical thinking and healthy decision-making” in relation to drug use. While any tangible results from such a pilot will be difficult to pinpoint, by equipping students with knowledge and strategies than can employ it is hoped that the students will “make healthy and responsible choices”. Undoubtedly, if this model of decriminalisation were to be implemented in the UK drug users would be safer and better informed in how to manage their consumption of drugs, while the treasury could see its spend on drug-related issues fall, particularly in the areas of policing and emergency care. Engaging in decriminalisation without a clear direction would be troublesome, decriminalisation should be seen not as an end, but a means for protecting drug users as part of a comprehensive drug policy grounded in harm-reduction. Labour, as a party that espouses fairness and equality, must face up to its responsibility to develop a drug policy that aligns itself with these core principles. Its leadership’s apparent indecision over which direction it should take with drug policy is not only detrimental to its electoral hopes, but damaging to drug users and the communities affected most by prohibition. Supporting the status-quo is simply not an option if the party wants to be respected in this policy area.